​There is no doubt that this walk is a real adventure. It would be easy to say that the highlight of the walk were the days we spent in the Lake District but the remainder of the route is also picturesque, varied and very interesting. We thought that by starting our planning almost a full year before we started the walk gave us every chance of getting it right and avoiding undue panic for failing to be ill prepared. Even though we had e-mail confirmation from all our B&B hosts, it was a good job we rang around about a month before we started “just to make sure”. Our choice in Patterdale had just sold up and luckily they managed to get us in at Crookey Cottage. Thankfully, we also made sure we had made bookings for all our evening meals. The route is very busy with people and therefore it paid to make sure we had a reservation for our evening meal. The overall standard of B&B throughout the walk was very high. 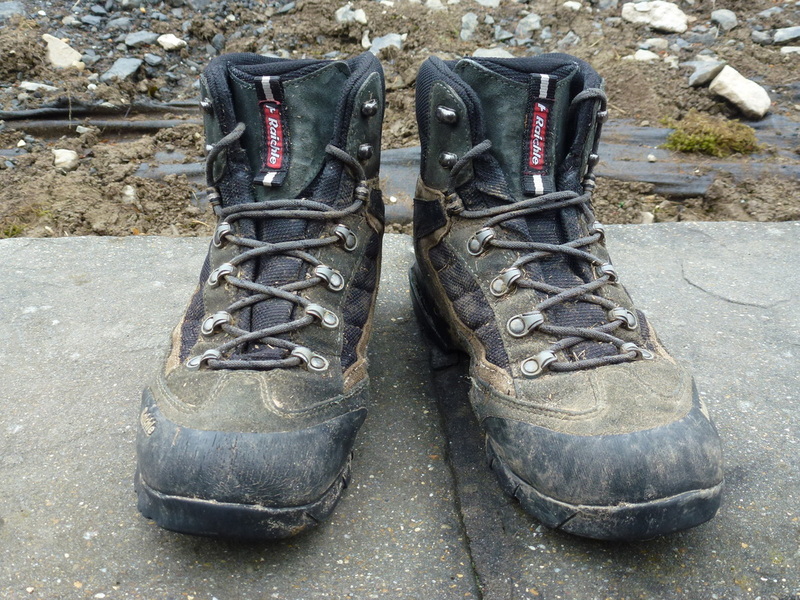 No real problems apart from Dave’s boot blowout at Shap, which was quickly remedied with some glue. The boots finally gave out on the last day but had been fine servants up until then. Medically, we used a fair bit of Vaseline on our feet, zinc oxide tape and compeed that resulted in only one blister all trip. It really does pay to rub your feet at night with some foot lotion and also buddy up getting your feet ready in the morning. No matter how much training you have done before the walk, your feet will hurt at some stage. Whilst we bought every map to cover our journey and carried a compass, we never used them although we do know how to. We found that the Stedman Guide was a fantastic tool and was absolutely spot on. This, coupled with our Satmap Active 10 made navigation simple, even across Nine Standards where the visibility was extremely poor. We cannot speak highly enough of Packhorse. They are an extremely well run and professional outfit and our baggage was at our B&B when we arrived each time. The price we paid for the transfer of our baggage, transport to/from the start/finish and the secure car parking was extremely good value for money. Apart from the idiot we met climbing up Lining Crag, all walkers we encountered were extremely friendly and we made some real friendships whilst on the Coast to Coast route. We found that having rest days robbed us of completing the walk with people we had met in the early stages yet there is the opportunity to meet new people all the time. The people we met made this walk for us and it was a real pleasure walking with them. 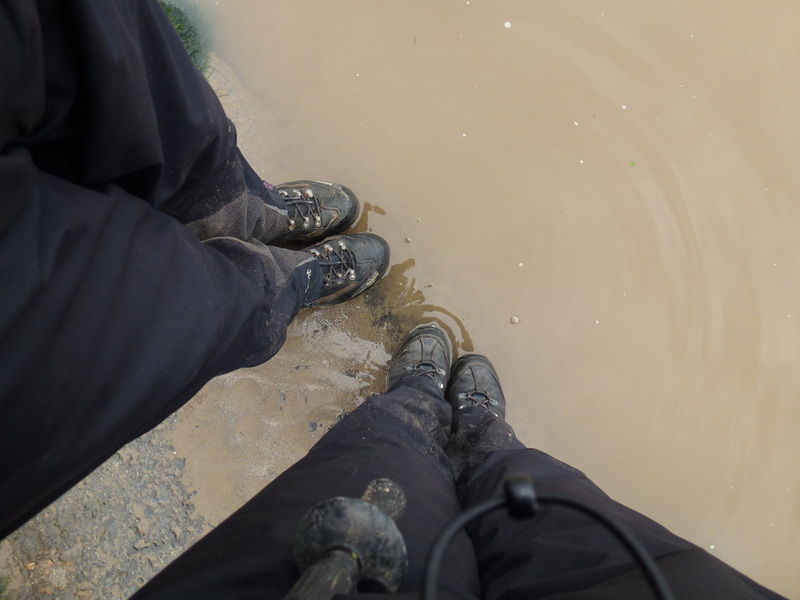 Hindsight is a wonderful thing and looking back we would have avoided the rest days in Shap and Richmond – we were surprisingly very fresh and simply didn’t need them although it does give you the opportunity to catch up on your admin! As far as distances go, I think we would probably break up the Rosthwaite to Patterdale leg – providing that the Grasmere B&Bs get their heads out of their backsides and let people stay one night only and not insist on 2 day stays. If this were the case next time, we would consider staying in Ambleside and playing about a bit with the route to achieve this. In addition we would probably do something different around Richmond, Danby Wiske, Ingleby and The Lion Inn. For both of us this was a fantastic experience that we thoroughly enjoyed. We now move on to The Dales Way, which we attempt in May 2014. We are already planning to complete the Coast to Coast again in 2016 and finish, this time, on Angie’s 50th birthday. Planning will be a challenge as this time we will have to take our dog Fudge into consideration!